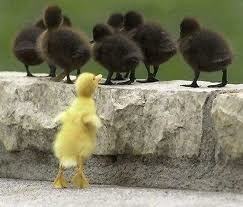 Fitting In With New Friends! Joanneke, born and raised in Holland, had lived in Spain for a number of years with her English husband. Now divorced, her husband had moved back to the UK and Joanneke had decided to remain in Spain to be near her friends and her work with her two young daughters. The girls attended a Spanish school so had a mixed vocabulary of Spanish, English and Dutch. As they grew older though, it became apparent that more opportunities would be open to them in the UK as well as for Joanneke in her work. So she made the difficult decision to leave her home and friends behind and took the girls to England with her to live in Birmingham near their dad. Whilst the girls were thrilled to be near their dad and the English side of their family, there was one hurdle they needed to overcome! Despite having British friends in Spain and being able to speak English to a good level, they were still behind with their understanding of the language compared with kids of their own age group in the UK. So Joanneke made enquiries and enrolled the girls in some recommended private English classes in Birmingham which they did alongside their normal schooling. The classes were very convenient as the teacher visited their house to conduct the lessons after school and at a time that fitted in with the girls´ timetable of activities. This extra tuition enabled them to catch up quickly with their new schoolmates and helped them settle in quicker to their new home life. Now, with lots of friends and a big family, the girls are enjoying a happy life in the UK. The eldest has just passed her exams with flying colours and made her mum proud by excelling in both Spanish and English! If a 17 year old polyglot can do it, with 23 self-taught languages under his belt, then anyone can. Starting with Hebrew as his first foreign language, Timothy Doner memorized lyrics from Israeli hip hop songs and repeated them to other people until he was able to construct sentences. Talking to taxi drivers, street vendors, and people across the world on Skype, he has mastered each individual language in just a few weeks. A huge fan of the internet, he finds that being able to contact people from all over the world at any time is a great learning tool. He uses online forums to talk with other people and flashcard apps on his iPhone to help him with the learning process. As well as the usual, expected, European languages such as French, German and Spanish, this amazing teenager has learned obscure languages such as isiXhosa which is an official language of South Africa and is comprised of clicking noises specific to that language. It’s believed that there is a universal grammar which underlies all languages but there is no doubt that a simplistic and positive approach has definitely helped Timothy conquer his linguistic abilities. Through sheer determination he now holds the title of ‘hyperpolyglot’ being one of a select demographic of linguists who have this capability. Living in the cultural melting pot that is New York, Timothy has access to numerous languages from different nationalities and is clearly determined to use this wealth of knowledge to his advantage. With the two languages of Sudanese and Malay next on his agenda, this talented individual clearly doesn’t intend to stop learning any time soon. So, you can see how it can be done, that it has been done, and now it’s your turn. Learning a new language is easier than you think; you just need the right motivation and perseverance. An obscure South African language is probably not the greatest choice to start with, so how about something a little closer to home. 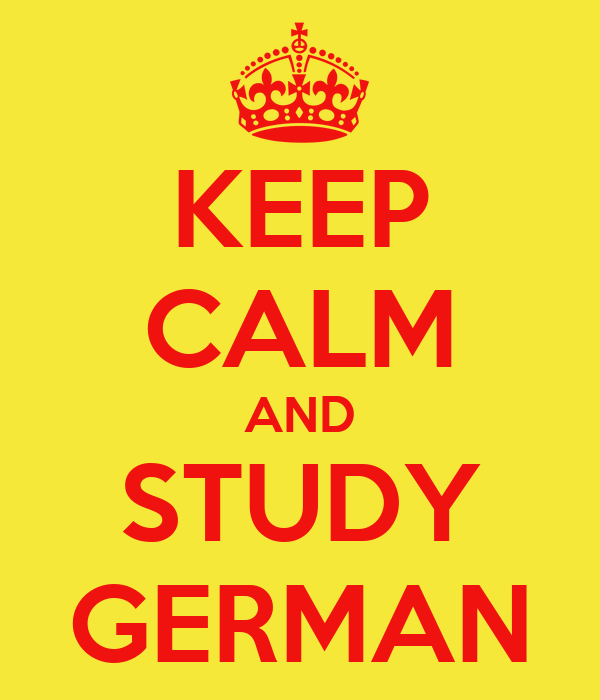 One of the more traditional languages learned, why not enrol in some German classes in Edinburgh to start you on your linguistic journey! For the Love of France! During a short break in Paris, Gemma fell in love with the City of Light and had a deep interest in learning about all things French. The romance of the city captured her and she gazed in awe at the beautiful landscape around her. The iconic Eiffel Tower pierced the sky as it watched over the bustling city. She strolled down the Champs-Elysées, gazing at the historic buildings, busy cafés, chic clothing boutiques, tantalising patisseries and at the impressive Arc de Triomphe which stood proudly at the end of the infamous avenue. Having climbed to the top, she held her breath as she beheld the sight of the city below her. A visit to the Louvre was next; she couldn’t possibly visit Paris without catching a glimpse of the Mona Lisa or Venus de Milo! 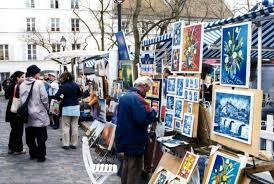 A leisurely saunter through the charming village of Montmartre enabled her to pick up some artistic souvenirs for her family and friends. Even the macabre skulls and bones lining the tunnels beneath the city in the Catacombs intrigued her. Now, back in the UK, she yearned to return there again one day but, in the meantime, had to content herself with finding something else to fill the French void. Then an advert caught her eye for some language lessons which would be taught by a native French speaking teacher. She spoke with the teacher over the telephone and arranged to have classes near her workplace in the evenings. As the language school had an offer for cheaper two-to-one classes, she asked her friend to join her. They booked a session of introductory lessons where they would learn the basics of the language before quickly progressing to conversational French. With something to look forward to, Gemma reminisced about what had inspired her to learn this language and was pleased to have this great opportunity to learn French in London at a time and place that suited her needs. A beautiful language with a soft lilt; the next time Gemma intended to speak it after this linguistic course would be back on Parisian soil! A New Language for a New Lifestyle! After getting married, Steffi and Simon decided to move from the UK to Steffi’s home town in Germany. They wanted to start a family there and to raise their children near her relatives. For Simon, who was originally born in Venezuela, this meant the unnerving challenge of taking on a new language as German immigration and residency regulations state that it is compulsory for any non-EU citizen who wishes to reside in Germany to provide proof of a basic knowledge of the language when applying for the visa. A daunting prospect at 34 years old, the trepidation of learning German was mingled with his excitement at starting a new life with his bride in a new country. After a lot of thought, he decided to beat his nerves and get a head start with some German classes in Edinburgh where they lived. He opted for the individual classes rather than the group lessons as he felt that one-to-one training would be more intense and beneficial for him. Besides, he had Steffi to practise with when he needed to do his homework! His teacher was a native German and listening to their accent helped him to pronounce the words in the correct dialect and enabled him to tune in to the German accent fairly easily when practising his verbal lessons. As he lived so near to the learning centre, Simon was also lucky enough to benefit from having his German classes at home which not only saved time and travelling expenses but also removed some of the nervousness from being back in an educational environment. It wasn’t long before he’d picked up the basics of the language and felt calmer and more confident at the prospect of moving abroad. Now, three years later and still living in Germany, there are no longer any awkward silences or embarrassing moments when Simon tries to communicate with Steffi’s family. They happily converse with him and teach him new phrases as the situations arise. Having studied the German language full-time when he first relocated, Simon now takes part-time courses which help to build his vocabulary as well as his confidence. His written skills have improved no end and he even writes his Facebook messages in his native language of Spanish, in English and now in German to make sure that he doesn’t miss any of his friends out (and to show off a bit, naturally!). With a full-time job as a chef in a local bar, close friends and family, and a lovely baby daughter, it just goes to show that Simon’s hard work and determination at learning a new language was worth it as he now enjoys a very happy and fulfilling life in Germany. You are currently browsing the Language Museum weblog archives for April, 2013.